A friend shared this meme with me and I could not contain my laughter. As a former ‘first lady’ there is the ever present ‘church’ hat that seems to be an unspoken requirement of the wardrobe. 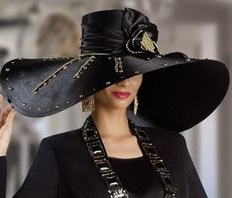 The truth is, I love the hats (shoes, handbags….etc.) and would joke that I wanted a hat so big that it had to be assembled by a team of hat builders when I got to my destination. Then I looked at the caption and got all deep on this Friday afternoon. Am I am so busy looking at what appears to be a big blessing for the other person that I can’t focus on, identify or recognize my own blessings, opportunities and gifts? 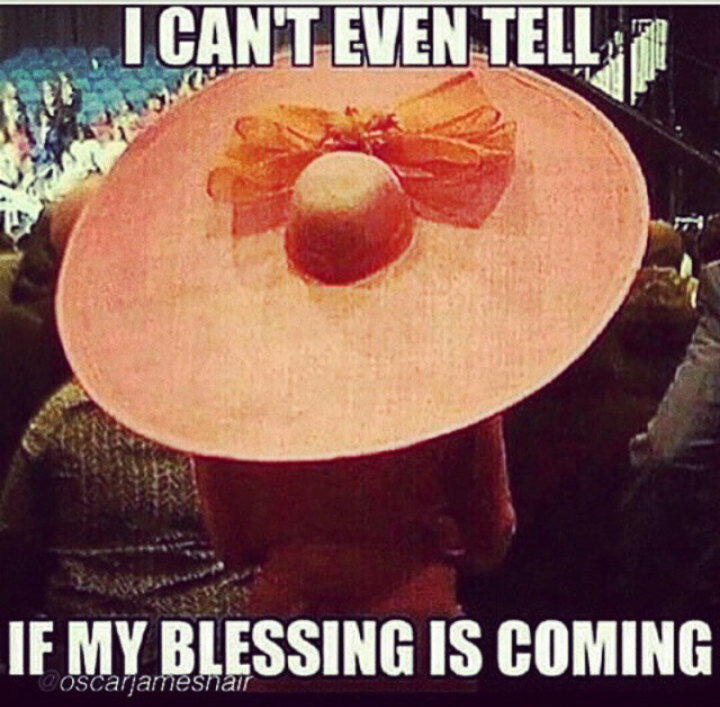 What if the perceived beautiful abundant blessing and this hat is really a burden? It may be heavy giving her neck cramps and back spasms. You know it’s hot under there and transporting that thing must be a pain. No thanks, she can keep it, I’ll focus on my own blessings, opportunities and gifts as I boldly, unapologetically and confidently rejoice in them as I look at the world from under my brim. ← ….if its abuse….why do they stay?? !